Every year, Bicolanos celebrate the Peñafrancia Fiesta in September. In line with the celebration is the Bicolano tradition “Pagsungko ni Ina”(Visitation of Mary) which is reminiscent of Mary’s visit to her cousin Elizabeth. 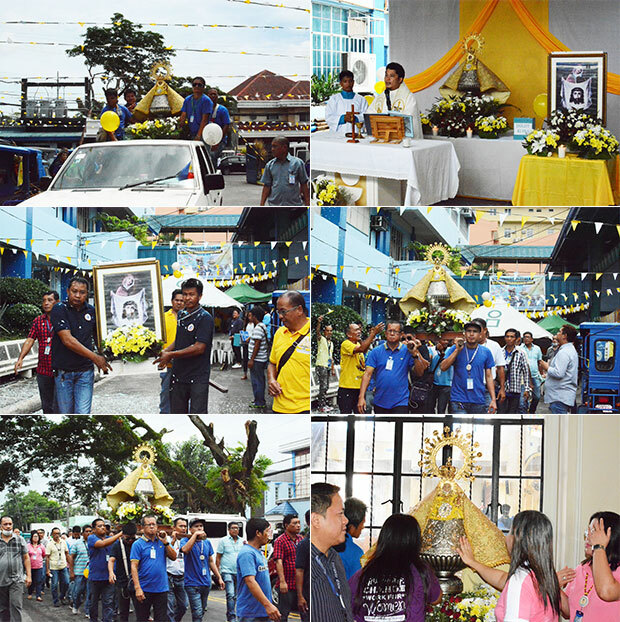 On July 26, 2018, the Metropolitan Naga Water District (MNWD) adorned its vicinity with yellow and white flaglets to welcome Our Lady of Peñafrancia whom we call Ina and the Divino Rostro. MNWD devotees and customers attended the Holy Mass in honor of Ina’s visit. Pagsungko ni Ina is a religious tradition wherein the image of Ina visits various barangays, institutions, and establishments within the Archdiocese of Caceres in preparation for her arrival. The spiritual preparation includes meditation on the mysteries of the Holy Rosary, reception of the Sacrament of Reconciliation and the Holy Eucharist. This year’s visit of Ina at MNWD signifies our devotion to the Catholic faith. It is not only a tradition that we commemorate but more of a commitment that we embrace wholeheartedly.